Upon arrival you will be greeted by our tour guide and driver. 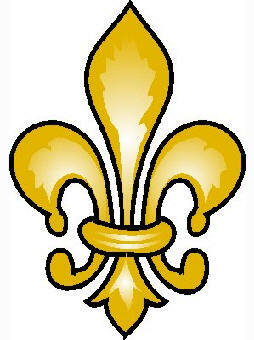 Transfer to our hotel where you will enjoy free time to rest and refresh before Mass. Dinner and overnight in Barcelona. impressive proportions. Spend the afternoon at leisure exploring the colorful markets of Las Ramblas. Dinner and overnight in Barcelona. After breakfast you will make your way to Montserrat, home to the dramatically set Benedictine monastery. On a rugged mountainside you will visit the Shrine of Our Lady of Montserrat. Since the 12th-century, pilgrims have been drawn to the mountain to venerate the miraculous statue of the Black Madonna. According to Catholic tradition, the statue of the Black Virgin of Montserrat was carved by St. Luke around 50 AD and brought to Spain. It was later hidden from the Moors in a cave, where it was rediscovered by shepherds in 880 AD. They saw a bright light and heard heavenly music that eventually led them to the grotto and the statue. The Bishop of Manresa, present at the discovery, suggested that it be moved to Manresa, but the small statue was discovered to be so heavy it could not be lifted. Thus the Virgin had indicated her will to stay on Montserrat to be venerated there. In the 11th century, the abbot-bishop Oliba founded a monastery on the mountain of Montserrat next to one of the chapels, where the Benedictine Abbey is still preserved. Return to Barcelona for dinner and overnight. continue the journey to Madrid for dinner and overnight. After breakfast enjoy a tour of Madrid including the Royal Palace and Plaza Mayor. Then depart for Toledo which sits on a rocky mound isolated on three sides by a looping gorge of the Río Tajo. Every available inch of this outcrop has churches, synagogues, mosques and houses heaped upon one another in a haphazard spiral, which the cobbled lanes infiltrate as best they can. Toledo is known as the City of the Three Religions or Cultures because for many centuries the Christians, the Moors, and the Jews lived together in relative equality and peace. The city surrounded by walls hides great treasures: the awesome Cathedral, the church of Santo Tomé, the Tránsito Synagogue, Santa MariaLa Blanca Synagogue, the superb church of San Juan de los Reyes, Puerta de Bisagras, Puerta del Cambrón, Puerta del Sol, etc. Return to Madrid for dinner and overnight. of Santa María, the churches of Santiago and San Nicolas, as well as the Agua Street, full of palaces and emblazoned houses. Later we enter Galicia by Lugo, not far from Santiago. Stop in O Cebreiro, the first village in the region of Lugo along the Route, with an altitude of 1,300 meters. A group of "pallozas" can be seen and a beautiful Pre-Romanesque temple, from the 9-10 C, containing a Chalice, the Paten of "Santo Milagro" and a precious Romanesque carving of Santa Maria La Real. Continue on to Santiago de Compostela for dinner and overnight. pray to Our Lady in thanksgiving. He believed she saved him when he was shot one year prior. Tonight, enjoy dinner and overnight! Today you will travel North to the Old City of Santarem. Mass will be at The Church of St. Stephen, which holds (13th Century) Eucharistic Miracle. would cure the husbands infidelity in exchange for a consecrated Host. The woman committed sacrilege, but when she exited the church the Host began to bleed. It bleed so much that the parishioners thought she had cut her hand. The woman ran home and hid the bleeding Host in a trunk. When her husband came home she told him what she had done and later that night there was a light emanating from the trunk. The both began to kneel before the trunk. The following morning the husband and wife brought the Host to the parish priest. It was then moved to the Church of St. Stephen where another miracle occurred! The miraculous Host was originally put in a wax container however, when a priest opened the tabernacle to view the Host, the container was found broken and the Host was found enclosed in crystal pyx. After your visit to this miraculous site, you will depart via motor coach on to Fatima. Lucia (age 10) , Jacinta (age 7) and Francisco (age 9). Her most prominent message at this time was to pray for world peace! Our day begins with Mass at the Little Chapel of The Apparitions. This simple old modern chapel is the site of were the Virgin Mary first appeared on May 13, 1917. 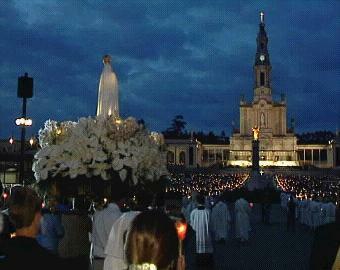 Following mass, your tour of Fatima begins at the stunning neoclassical church, The Basilica of Our Lady of Fatima. This sacred space contains the tombs of Francisco and Jacinta as well as the monument that commemorates the Sacred Heart of Jesus. Today you will enjoy breakfast with your fellow pilgrims and bid farewell to a memorable journey! You will then transfer to Lisbon for your return flight home. After breakfast you will be transferred to the airport for your short flight to Lisbon, enjoy a sightseeing tour which will include a visit of the Cathedral, St. Jerome’s Monastery, Saint Anthony's Church, Belem Quarter: Belem Tower, 25 April Bridge, Discoveries Monument. Our drive will also take us through the Basilica of the Star, Rossio Square, Commerce square and Marquee of Pomba Square. Dinner and overnight in Lisbon. After breakfast depart Lisbon for Santarem, one of the oldest cities in the world. Walk through its narrow streets to the Church of St Stephen, containing the oldest recorded Eucharistic miracle. Continue on to Fatima, the place where the Blessed Mother appeared in 1917 to three simple shepherd children and exhorted mankind to pray for world peace. Dinner and overnight in Fatima. Start off your days by going to Mass at the Little Chapel of the Apparitions. While in Fatima, you will see the Basilica, the site of Francesco and Jacinta's graves, the Hamlet of Aljustrel, where the children lived, and Valinhos, the site of Our Lady's appearance after the children's return from prison. Experience Christ's love as you walk and follow the Stations of the Cross along the Via Sacra (The Sacred Way) culminating in the Chapel of Calvary, which overlooks all of Fatima. Join pilgrims from around the world in an evening candlelight procession to pray the rosary. Don't forget your white handkerchief for the Adeus farewell, when pilgrims wave a loving farewell to the statue of Our Lady of the Rosary. Time for private devotions before dinner and overnight. You will depart for your homebound flight back to the USA.